I’m in the planning process for a small attached deck (dimensions 12’ x 6’). 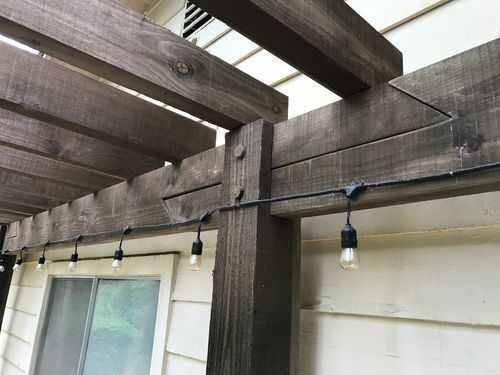 I want to hang a lightweight roof over the deck, with one side of the roof attached to the house and the other supported by 6×6 posts that will also support the deck beam. My question pertains to the best method for joining the posts and deck beam (two 2×6s). I’ve read different opinions about notching vs. sandwiching. I’ve never built a deck but have built cases and cabinets, and dados have always provided solid results. This leads me to believe that as long as the notches are tight to the 2×6s, this is the optimal method. Thoughts on this? In additional, adjacent to the deck described above will be a freestanding deck of very similar dimensions, but of a height that is about 1.5’ lower than the attached deck. My plan at the moment is to tie one of the freestanding deck’s beams into one of the attached deck’s corner posts. 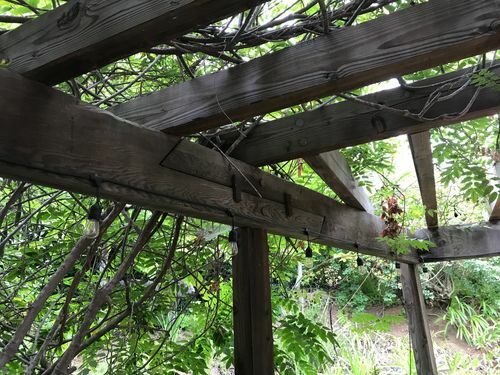 Therefore, that post would be notched twice—once for each beam. This simplifies other aspects of the site’s design, but does anyone foresee an issue with two notches in the post? I don’t think you need do any notching unless you want the look. Also the 6×6 are overkill, imho, for that size deck. @oldwood thanks for the response. The choice of 6×6 is about aesthetics rather than structural support. Based on your response, you believe that sandwiching posts to form the beam is sufficient? I am in the process of replacing my Patio Cover now. I’ve gone a little over the top with the joinery but I’m happy with the results so far. The posts are 8×8 the (rim joists??) are 14×12 and the rafters are 4×8. I wanted a timber look. 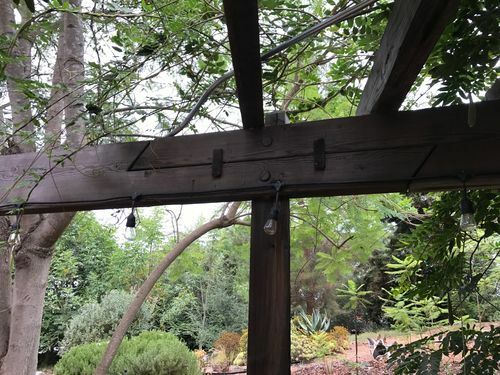 The posts , joists and joists are attached with hidden galvanized lag bolts. My new policy is no paint on outside projects so the “finish” is a water based preservative product from Amazon made by Tall Earth it starts out a little green, changes in a few days to more of a brown and in a year turns weathered grey. I sprayed it on with a garden sprayer. Think I’ll be happy with it. Here’s what my “joinery” looks like.